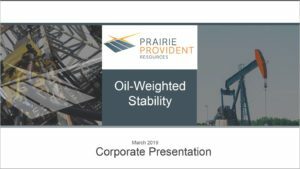 Prairie Provident hosted an investor presentation webcast, which originally aired on Wednesday, November 28th at 11:00 AM ET. During the webcast Tim Granger, President and CEO provided an update for investors on key areas of Prairie Provident’s business. To listen, Click here.